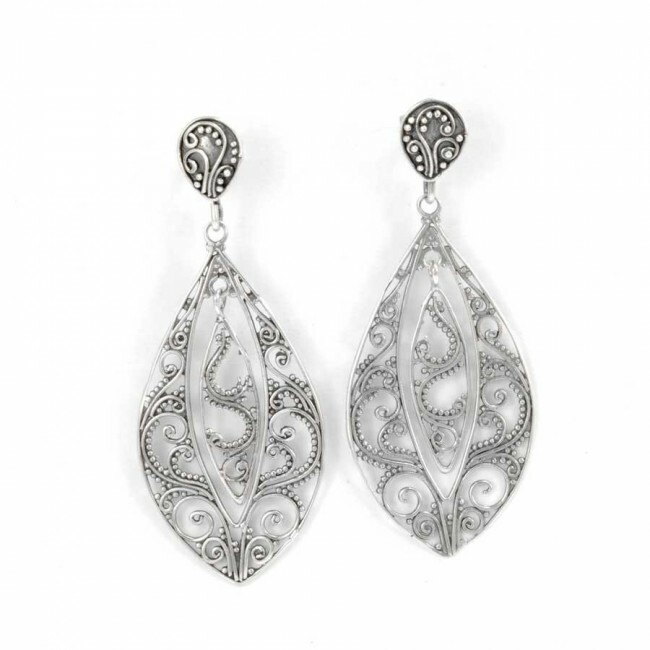 A stunning, elegant pair of handcrafted sterling silver earrings. 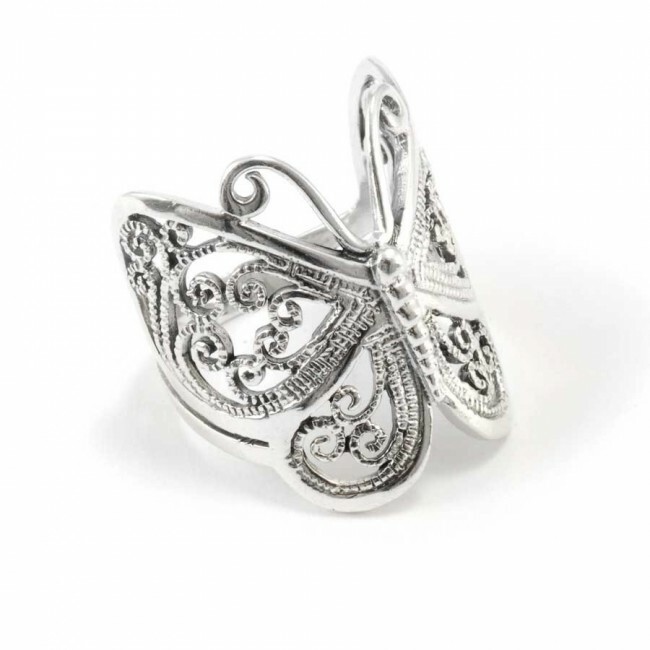 This beautifully feminine design features finely worked silver filigree, with stud fastenings. 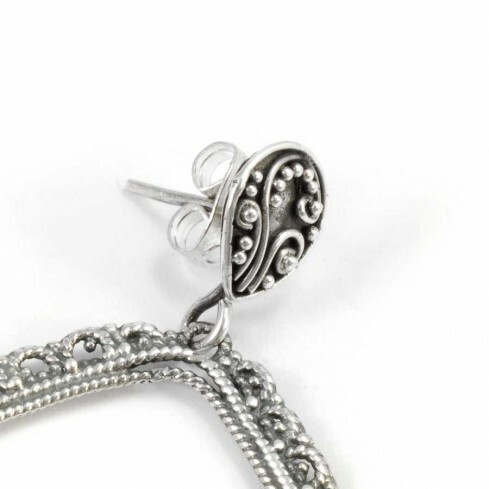 A gorgeous accessory that will bring a bit of glamour to any outfit! 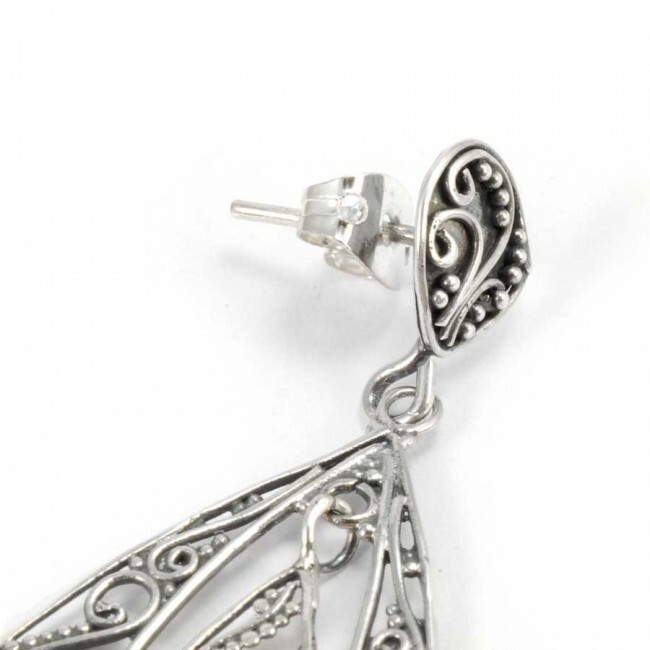 These beautiful, detailed silver earrings can be the perfect gift for a special person, or a lovely treat for yourself. Every product is carefully prepared by hand; packaged in soft tissue paper and placed in a delicately scented satin pouch. 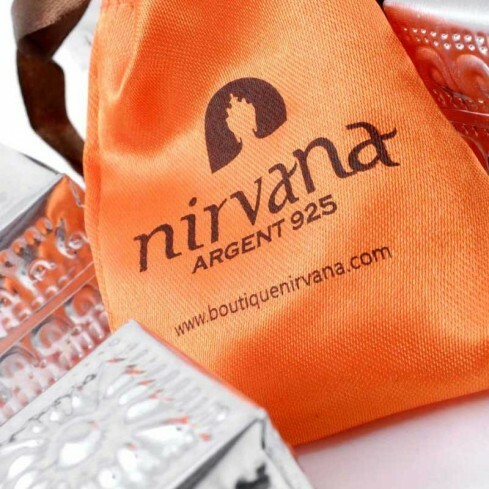 The pouch is then placed in a beautiful hammered aluminium box, handmade in Bali. 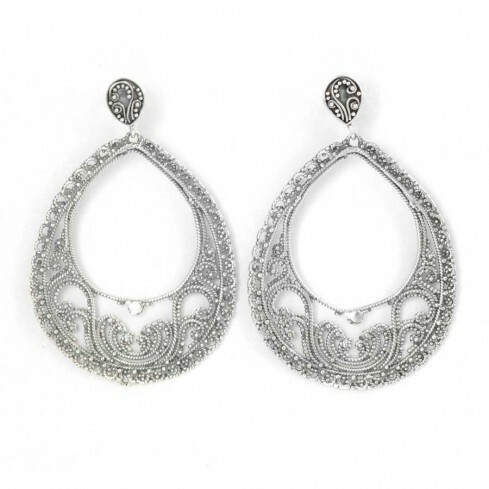 Handcrafted in India, these eye-catching earrings feature beautiful silver filigree. 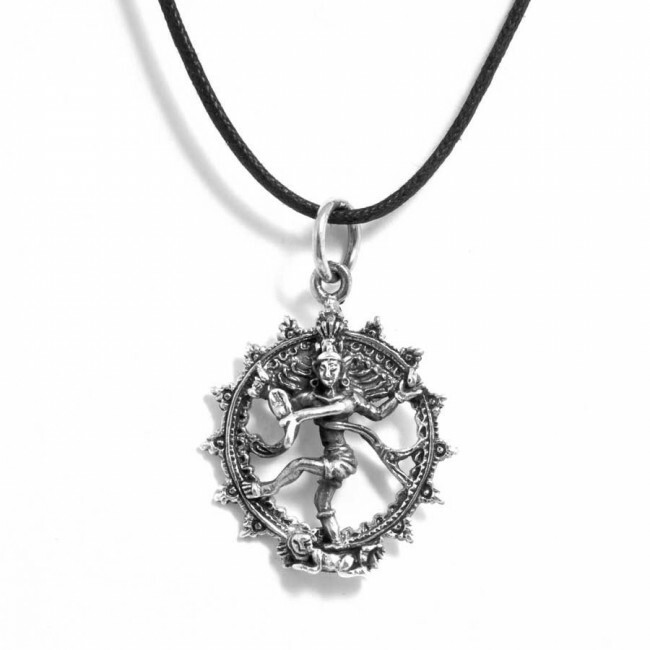 Free your spirit with this delicate accessory, as the lightweight design dangles gently from your ears. 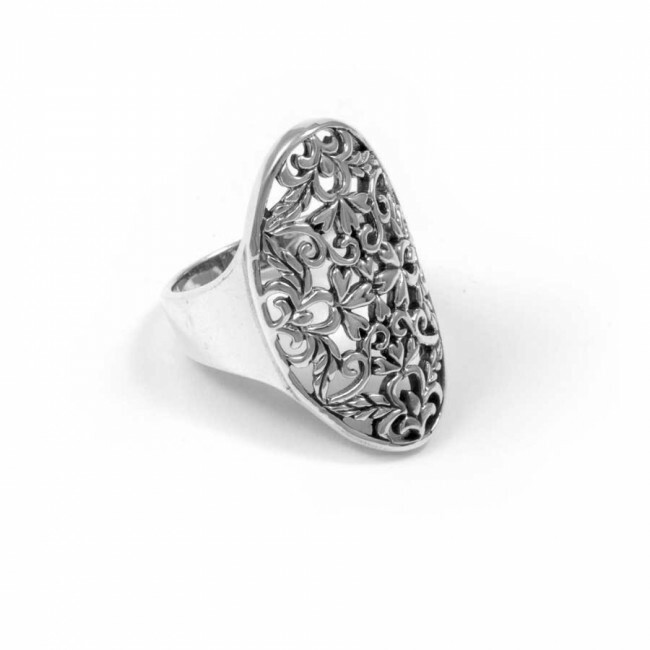 This gorgeous ethnic ring has been handcrafted in Thailand from sterling silver. 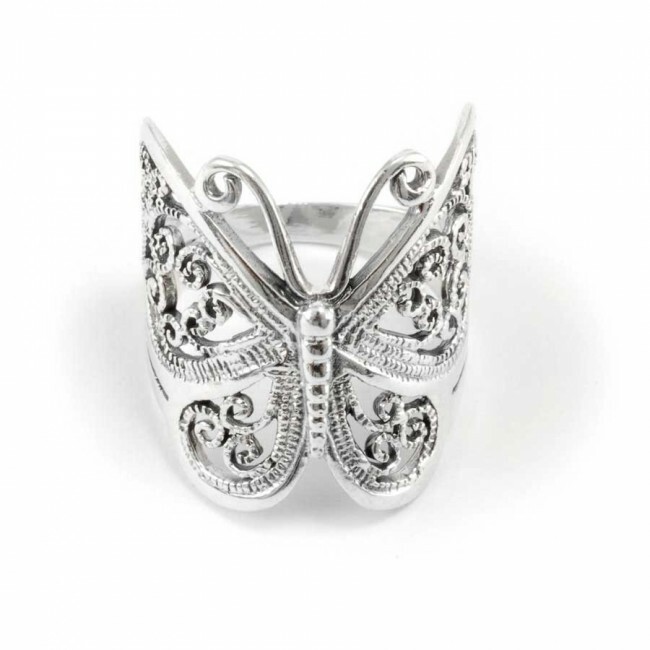 The beautiful design features detailed silverwork, and looks fantastic for both day and evening wear. Channel your bohemian spirit with this lovely accessory! 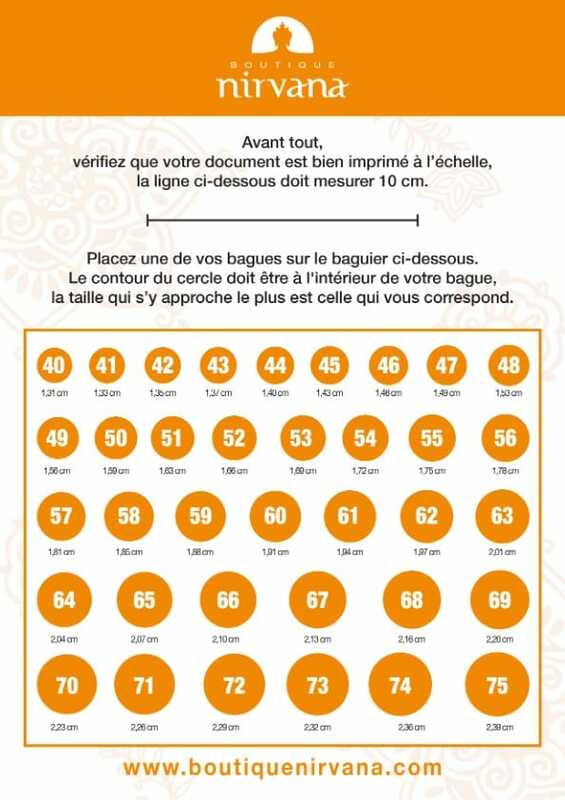 Select your chosen ring size using the menu on the right-hand side of the page. 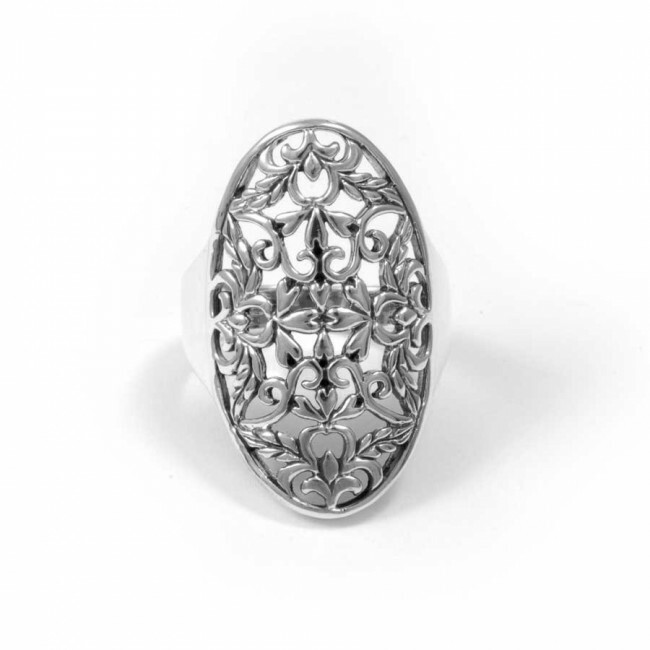 This gorgeous sterling silver ring radiates elegance with its unique, vintage-inspired design. 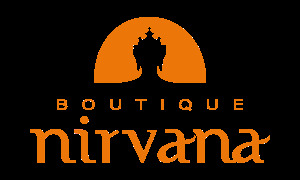 Handcrafted in Thailand, this beautiful long ring is an eye-catching ‘statement piece’ that will flatter your fingers. The pretty Anita bola pendant is an enchanting accessory that jingles harmoniously as you move. 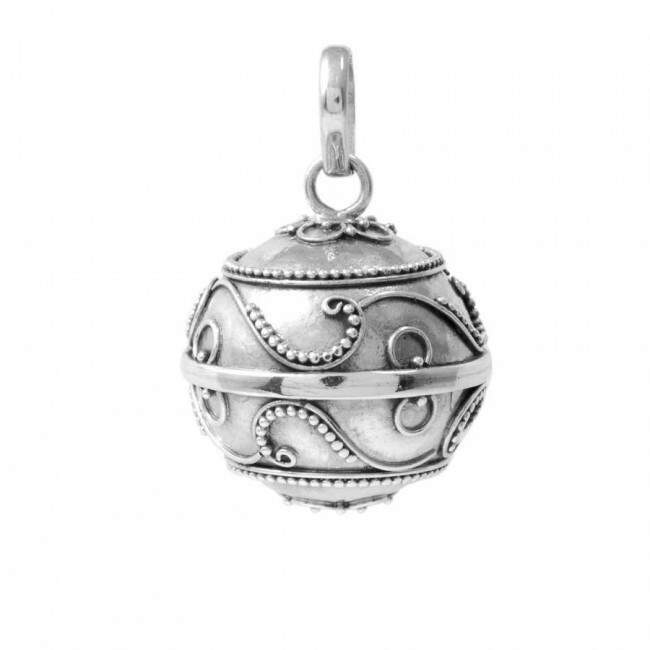 Handcrafted from sterling silver, jingling the bola gently is said to call upon your guardian angel. 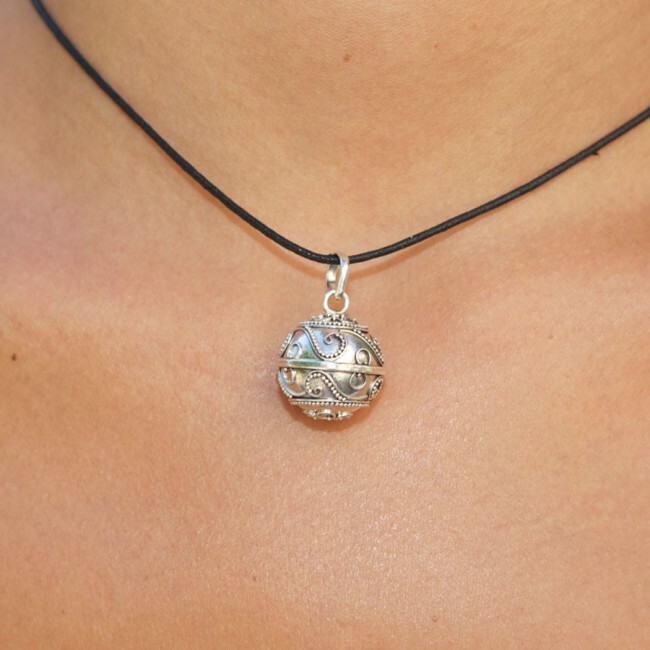 This particular bola pendant is also commonly used during pregnancy to bring calmness, peace and zen to unborn babies.